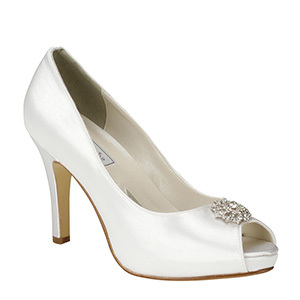 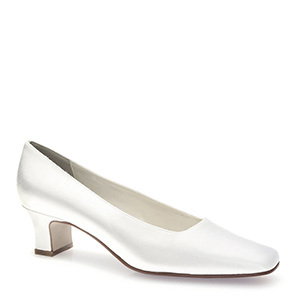 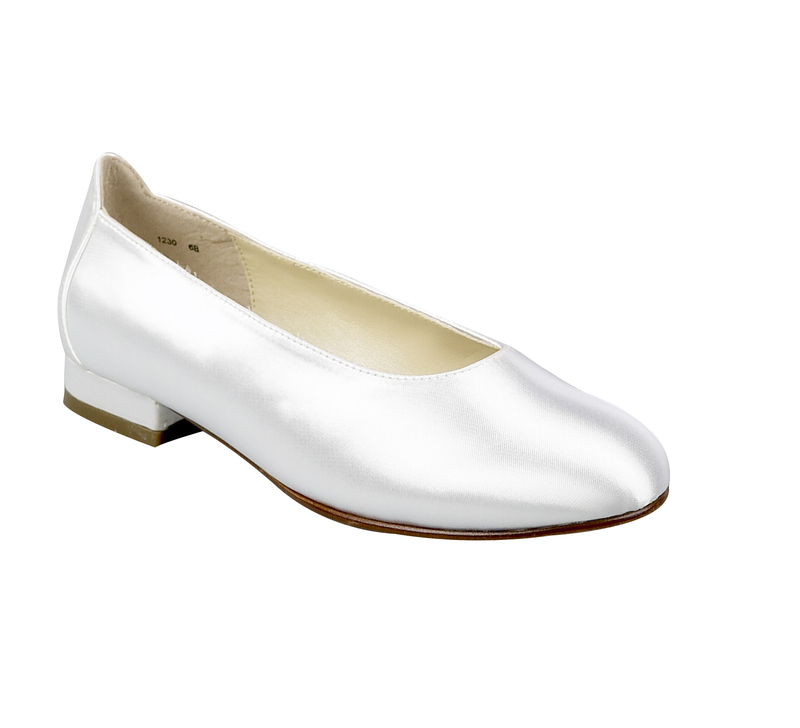 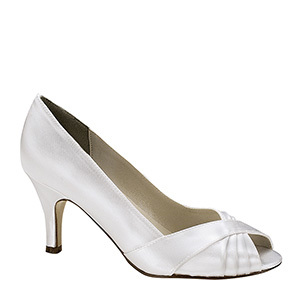 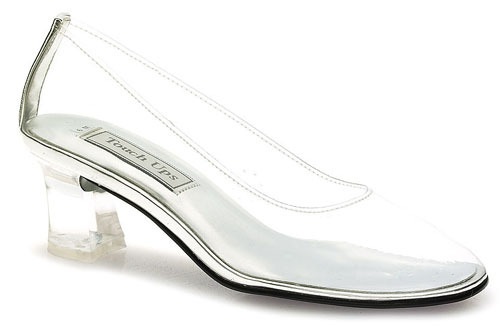 A stylish satin bridal shoe designed with an open toe and revealing instep. 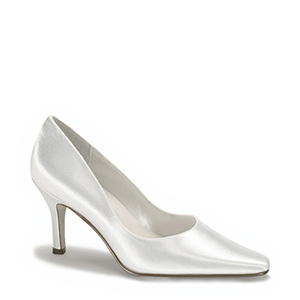 The 2 ¾” heel adds to the intrigue of the shoe. 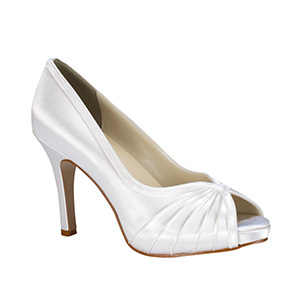 Pointy toe pump has fully cushioned insole and a flexible leather sole.